Qantas launched its new four times weekly Sydney-Dallas/Fort Worth/Brisbane-Sydney service on May 16, with the inaugural QF7 departing Sydney around 1.35pm. With a scheduled flight time of 15 hours, 25 minutes between Sydney and DFW, and 16 hours between DFW and Brisbane on the return QF8 service, the flights are the longest in the Qantas network, and are operated by Boeing 747-400ER equipment. Dallas/Fort Worth is the home airport and major hub of Qantas oneworld partner American Airlines, and Qantas is offering codeshared connections on American to no fewer than 54 US, Canadian and Mexican destinations beyond DFW. 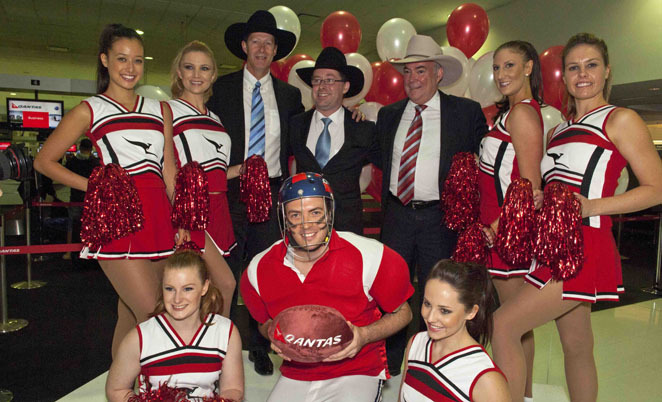 Dallas/Fort Worth is Qantas’s first new international destination since returning to Buenos Aires in 2008. Qantas has decided to operate to DFW in favour of direct Sydney-San Franscisco services, operating its last San Francisco flight last week.